Are you struggling with an addiction to alcohol or drugs? Are you tired of seeing your entire life be subsumed by substance abuse? At the Weston Wellness Center, our addiction recovery center in Stamford, Connecticut, we have the tools necessary to defeat addiction and being working toward recovery. Understanding more about our addiction recovery program can help you defeat your addiction and being living your life once again. Recovering from substance abuse is a process, and in order to ensure the change is long-lasting, care must be taken. Starting at the beginning of the process, taking part in supervised detox is important. During this phase of the addiction recovery treatment, one's body begins to wean itself off of the drugs or alcohol. Going cold turkey can be uncomfortable at best, and dangerous at worst, which is why seeking a supervised detox at a substance abuse treatment facility is essential. At our drug rehab facility, we want to be sure that we can provide the very best treatment for each and every one of our clients. For roughly half of our clients, that means ensuring that they get the treatment for any co-occurring mental health disorder that they are dealing with in addition to their addiction. By treating both the addiction and the mental health issue concurrently, we can provide clients with the best possible chance of overcoming their addiction. In the past, someone seeking recovery at a drug rehab clinic might have only received treatment for their addiction. However, this leaves the client susceptible to relapse, since the symptoms of the underlying mental health disorder may have contributed to the addiction in the first place. When a client’s mental health disorder is not treated, the symptoms may return. Leave us a message and one of our consultants will be in touch. You might also expect a drug rehab clinic to be a cold and uninviting space, but at the Weston Wellness Center in Stamford, Connecticut, that is simply not the case. When you are looking into the facility, you will discover that we emphasize safety and care. 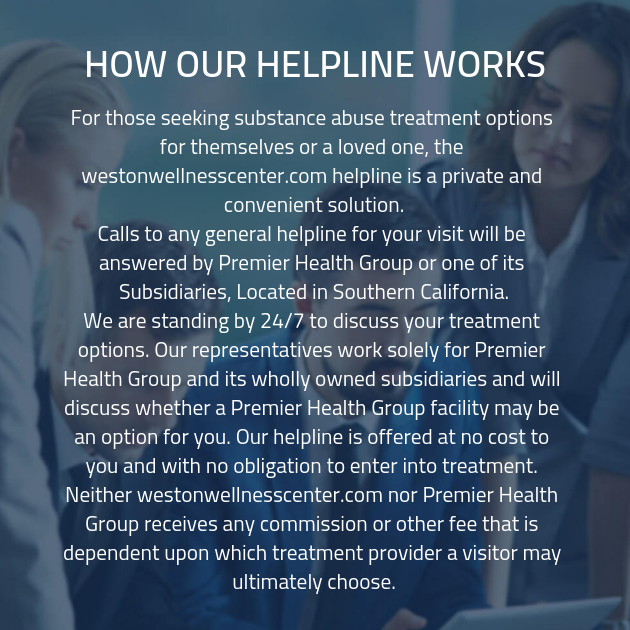 The Weston Wellness Center is committed to providing every client with a safe environment in which to pursue recovery. At the Weston Wellness Center, we also want to encourage bonds with other people. One of the greatest benefits of an addiction recovery program is the opportunity to begin forming the foundation of a sober support network. Part of addiction recovery is communicating with people who understand, and building connections with others who understand your struggles is an essential component of treatment. At the Weston Wellness Center, we encourage openness and honesty. When people are not honest about their problems, finding a reasonable solution is difficult. We encourage clients to make the most of the addiction recovery facility by speaking with candor, and being honest with themselves and others. At the Weston Wellness Center in Stamford, Connecticut, we emphasize the individuality of each client. Our addiction treatment center provides each client with an addiction recovery plan that is customized to suit their individual needs. A one-size-fits-all approach just won’t suffice when addiction enters the picture. If you or someone you care about is struggling with substance addiction, the time to seek treatment is now. It can be difficult to muster the courage necessary to admit you have a problem, but there is no reason to wait any longer. Don’t hesitate for another day. One of our well-trained and friendly addiction technicians is waiting to speak with you. Contact our substance abuse treatment facility today, and we’ll get you the tools you need to defeat addiction.